You’d think that a vegetarian cook would be a salad expert, a master of all things lettuce. You’d think that she would serve up a different creation every day of the week: mixed baby greens with goat cheese and asparagus tips on Monday, arugula with roasted mushrooms and shaved parmesan on Tuesday, baby spinach with lemony chickpeas on Wednesday, and so on. Last weekend, I realized just how boring my approach to salad had become. The realization was sparked by a simple question. He was right. Some nights I might add baby spinach to the mix, some nights not. Some nights I might not make a salad at all. But if I do make a salad it’s the same one with the same balsamic vinaigrette. I must branch out! 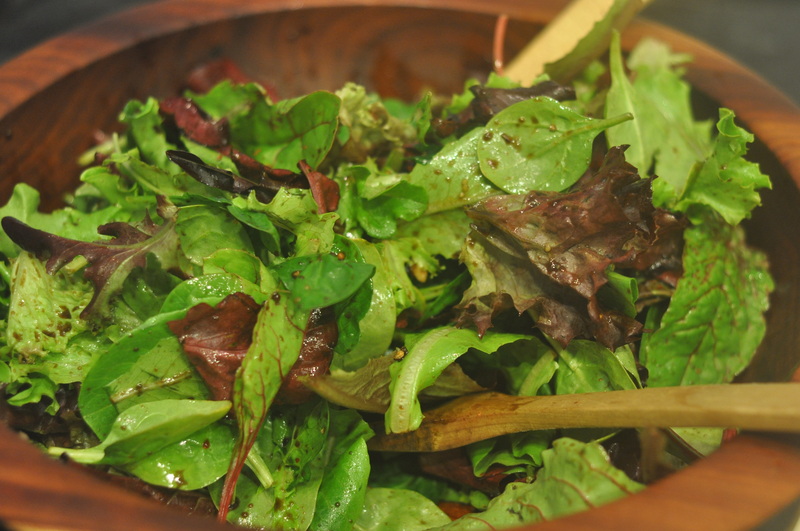 If you have any favorite salad recipes, send them my way!